Signed and dated l.r. corner, pencil "John Wolseley/ 84/87". 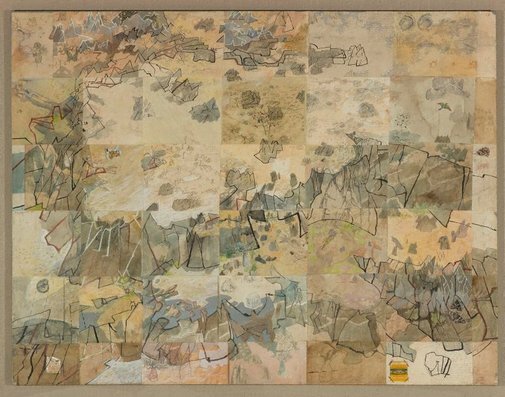 Jan Minchin, The ANZ bicentennial art commissions , 'John Wolseley', pg. 24-25, Melbourne, 1987, 24, 25 (colour illus.). Barry Pearce, Australian art: in the Art Gallery of New South Wales , 'Earth and paradise', pg. 283-284, Sydney, 2000, 288 (colour illus. ), 302. Josko Petkovic, Nomadism - John Wolseley. 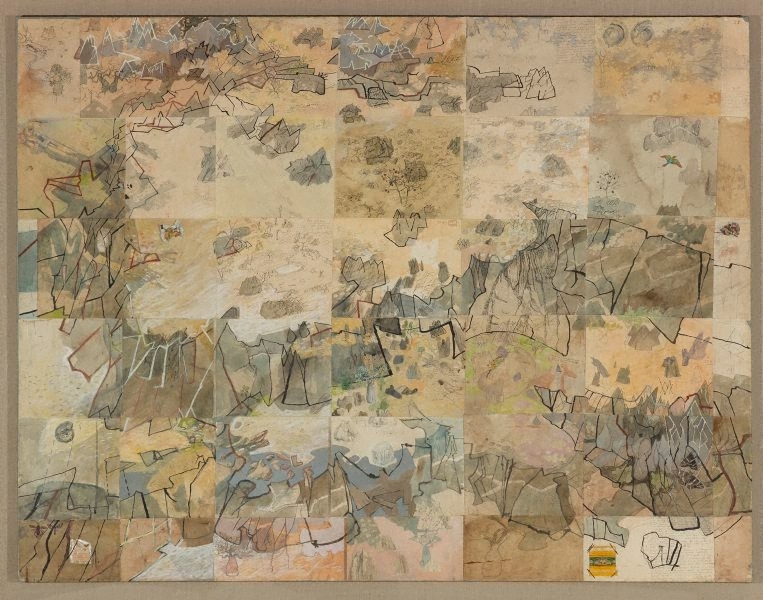 Twelve years in Australia - paintings and drawings , 'The coming of the Nomad', pg. 5-7, Melbourne, 1988, 5.